Pertaining in some way to taking care of hiking trails. 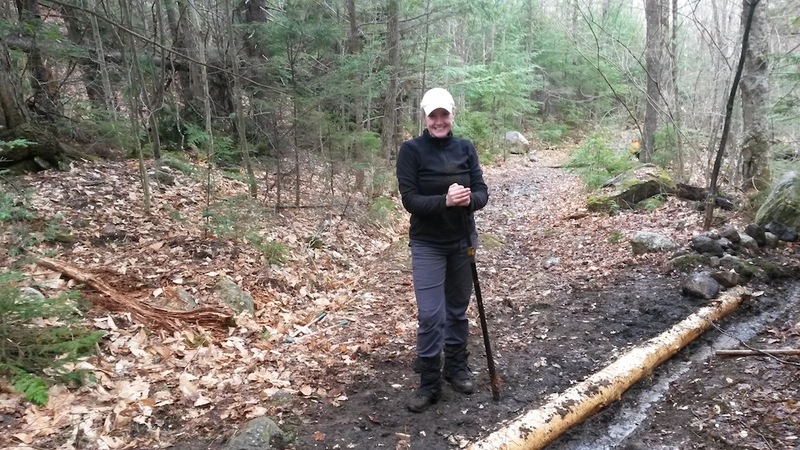 Join New England Scenic Trail committee members and adopters at their spring kick-off meeting! Learn about our accomplishments over the past year, and consider becoming part of our new roving volunteer trail crew or partnering up with current trail adopters. Extensive training is available for those who qualify to be part of our crew. Click here to learn more and register. Check out the latest issue of the Appalachian Trail Newsletter! More than 75 current, former and prospective Appalachian Mountain Club (AMC) Berkshire Chapter volunteers, spouses and friends, Appalachian Trail Conservancy (ATC) and Massachusetts Department of Conservation and Recreation (DCR) staff met recently in Great Barrington at the 17th Annual Appalachian Trail (A.T.) Volunteer Gathering to share information and find out more about volunteering. The meeting was organized by Christine Ward from the Great Barrington Trails and Greenways. The Massachusetts Appalachian Trail Management Committee organizes Appalachian Trail supervision and maintenance within Massachusetts. If you'd like to be a part of this, get in touch with our chair (see below)! The AMC has had a Teen Crew working on the NET again this summer, and this year they are on "my" Section 4 creating the first of two or three switchbacks. They are doing a lot of rock moving and treadwork! Our New England Trail (NET) Committee works to ensure the protection and promotion of the NET for the enjoyment of current and future generations. This is done through a combination of maintenance work and public advocacy. The committee is led by a chairperson elected to a one-year term by members of the Berkshire Chapter at our Annual Meeting each November. The New England National Scenic Trail (NET) is a 215-mile hiking trail route that has been in existence for over half a century. The NET runs from Long Island Sound in CT to the MA/NH border, comprised primarily of the Mattabesett, Metacomet, and Monadnock (M-M-M) Trail systems. In Massachusetts, the white-blazed trail follows the historic route of the Metacomet-Monadnock trail. Here are some upcoming opportunities to support this historic trail.